This week’s challenge photo shows a lady who had to be VERY careful in order to get where she is shown. 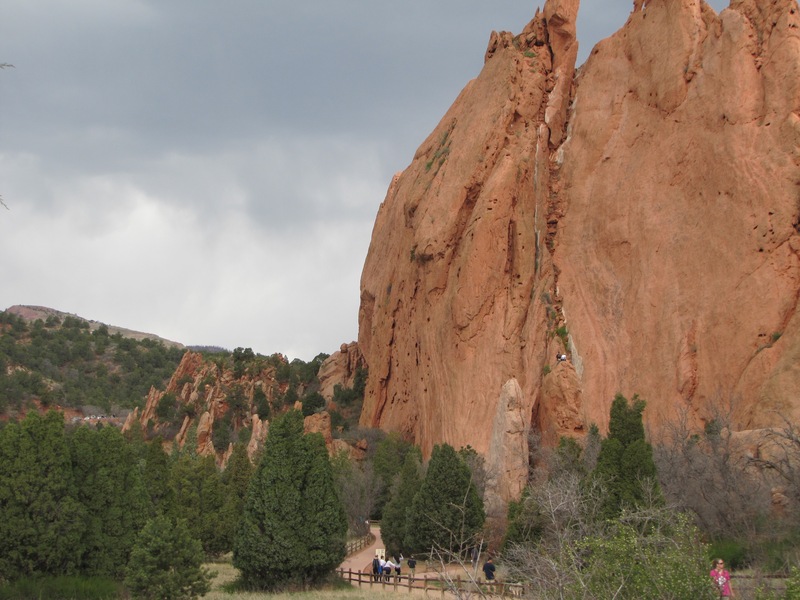 She has carefully climbed a rock spire at Garden of the Gods Park in Colorado. You can see her elation at having achieved her goal. 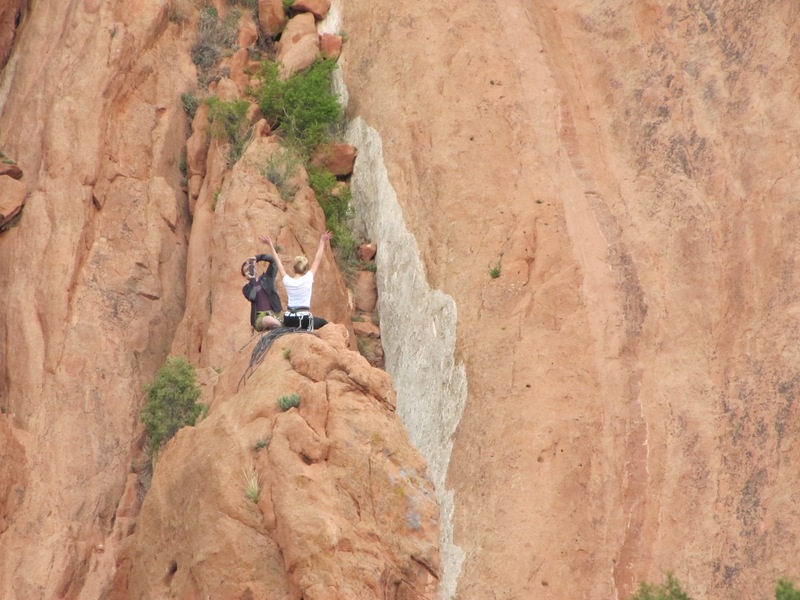 However, this week’s photo also requires another, to show from a distance how far she had to climb to get where she is.